How the actor strengthened his core for his new film. Pilates isn’t just for women. The core-strengthening and flexibility-improving workout, which is a favorite of Gisele Bundchen, Natalie Portman, Stacy Keibler and Sofia Vergara, is a great for guys as well—especially movie stars who do their own stunts, like Captain America: The First Avenger’s Dominic Cooper. 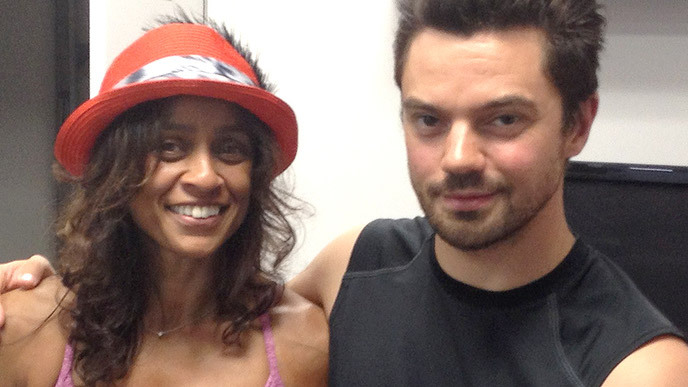 The British actor turned to celebrity trainer Ramona Braganza, whose client list includes Bradley Cooper, Jessica Alba and Halle Berry, to get him in shape for Warcraft, which is set to hit theaters in 2016.
Cooper, who in the past used traditional body building methods to train for his roles, worked out with Braganza 5 times a week, focusing not only on his core, but strengthening his legs, back and shoulders as well, using Unilateral training. “This helped in correcting any imbalances that were causing him discomfort, as many tennis players have a dominant side,” she explained. Like most men, according to the trainer, Cooper’s least favorite body part to train is his legs, but he loved core exercises like 100s. On the days he didn’t work out, the actor, who plays King Llane Wrynn in the video-game adaptation of World of Warcraft, enjoyed some ART (Active Release Techniques Therapy), a patented, soft tissue system/movement based massage technique that treats problems resulting from over-used muscles, tendons, fascia and nerves, including tennis elbow. As for diet, Braganza admits that Cooper is blessed with a high metabolism and did not have to worry too much about changing his eating habits during filming. Non-superheroes may want to work out like Cooper, eat like Bundchen.